The Auckland dishwasher repair company you can rely on. The dishwasher has saved many a household from after dinner arguments of who’s going to do the washing up. When it stops working, not only is it inconvenient, but it also means someone will have to put on the rubber gloves and grab the washing up liquid. Getting your dishwasher repaired can work out a lot cheaper than buying a new one, and Harbour Appliance Services will help you get the maximum life out of your appliance . Harbour Appliance Services are fully trained in dishwasher repair techniques. Whether your dishwasher isn’t cleaning like it used to, doesn’t drain properly, or has simply stopped working, you can count on us for a fast, quality repair that is fully guaranteed for our workmanship. We can comfortably repair any brand, make, or model. 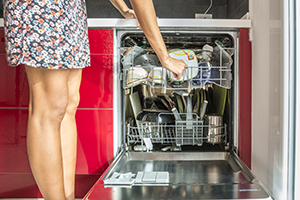 We repair LG dishwashers and other major brands – give us a call today for help with dishwasher repair in the North Shore, West Auckland or wider Auckland area.